Do you feel it in the air? Everyone’s getting together, honing their tricks and pretending to be something they are not. And no, I am not talking about Halloween; I am talking about regional championship season. Suffice to say, I am equally unexcited about the approach of both. For Halloween, it is simply because I have finally reached that age between college Halloween parties and actually having kids to make it all acceptable again–I know, I am old. But for regional championships, it is much more than that. Because, for all their glitz and glamour and hype–the exhaustive previews that go pool-by-pool and the detailed recaps and all-region, hype-train teams–regional championship are now just uninteresting. 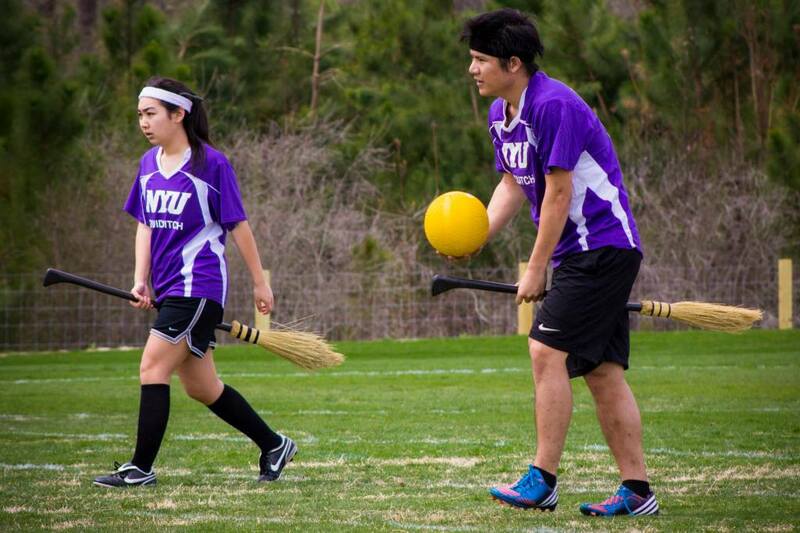 Last weekend, the country had two major quidditch tournaments: Wolf Pack Classic and Northeast Classic. While neither has particularly creative names, they will do far more to advance analysis for the season than any regional championship this fall. Take Tufts University, as an example. At both Northeast Classic and last season’s Northeast Regional Championship, the Jumbos played RIT. But the rest of their slates could not have been more different. At last year’s regional championship, they played UMass-Amherst, Skidmore College, RPI, Harvard University and Stony Brook University. At Classic, they played Boston University twice, Hofstra University, Clark University, Brandeis University, New York University, Emerson College and QC Boston: the Massacre. That regional slate tells us just about nothing about the team, while the Classic games are capable of defining a hierarchy of top Northeast teams on those results alone. As another example, just look at the Mid-Atlantic pools for this weekend. In Pool One, we have a University of Richmond team that, after two weeks of tournaments against predominantly out-of-region teams, returns home to see how they fare against their own. In terms of inter-regional storylines, it is a rather interesting one. Unfortunately, we will probably have to wait until one of the last five games on Sunday for them to play anything remotely interesting, rendering a day and a half of the tournament meaningless from an analysis perspective. There is a reason why invitational tournaments are now everywhere on the East Coast. USQ, meanwhile, seems to be ahead of the game on not giving a hoot about their biggest set of tournaments outside of World Cup. Recruitment for regional staff was so poorly executed that USQ Events Leader Sarah Woolsey is tournament directing two of the three fall regionals. Even in the Northeast, the one region that will have a different tournament director, the staff was only selected this past week. That’s just three weeks before the tournament. If that was the kind of timeline any other tournament in the country was run on, no one would attend it. To make matters even worse, it is USQ policy that regional directors are allowed to have no say on the tournaments, leaving us without the abilities of established tournament planners like Kara Levis, who ran a spotless Northeast Classic just last weekend. If a major, 15-team, three-field tournament did notget in the way of her job as regional director, the Northeast Regional Championship would not. The size of the tournaments is also beginning to take a huge toll on the sport’s already depleted resources. Referees are being called in from far and wide, even though no one has taken steps to compensate them for such travel, a budget that could be created if the seemingly unnecessary budget of regional championships was cut down. Snitches, some of whom have to also play in the tournament, are being run into the ground. Obviously, regional championships play an important role in our sport, but even the title of regional champion is beginning to lose its luster, especially since the correlation between regional champion and a deep World Cup run appears minimal at best. Maybe it is time for us to re-imagine what a regional is. Having more, smaller qualifying tournaments, which focus more on the qualifying and less on champions, would be easier to staff and plan; cheaper to run; and waste less of team’s time and travel money. Regardless of my old geezer complaints, regional championships will go on as they always have this year, with three tournaments in the next three weeks. But, the entire time, I will be looking past them to Nov. 15’s Lone Star Cup, likely to be more interesting than the other three tournaments combined. Enough about regional championships, let us get into two truly interesting tournaments from last week. October is in the books, and the season is in full swing, so let us see who is hanging around the top of two of the sport’s strongest regions. Saturday’s Wolf Pack Classic was the official first round of what looks to be a multi-round prize fight between the game’s two best teams: No. 1 Lone Star Quidditch Club and No. 2 University of Texas-Austin. While the scorecard might show a Lone Star victory–130*-70, to be exact–it was Texas that scored the early moral victory, with a performance that has me thinking they would be the favorites if World Cup was this weekend. There is no doubt that Lone Star has the best quaffle game in the country. A unit that managed to put itself out of range in multiple overtime periods last season was at it again with the snitch on the field in the finals this weekend, scoring at will while holding strong defensively to turn a 20-point deficit when the snitch returned into a 30-point lead by the time it was caught. Whether it’s knife-edge passes from Stephen Bell, hard-hitting open-field defense or deadly fast breaks, Lone Star can do it all. But there is a reason they trailed the Longhorns when the snitch returned to the pitch, and that reason is the bludger game. With the possible exception of a standout performance from Mollie Lensing, the Lone Star beaters looked all-around pedestrian. Not only did they fail to maintain the lion’s share of bludger control, earning just 46 percent of it, but they were less effective with it, allowing goals on 2-of-9 possessions compared to just 2-of-11 goals allowed by Texas with bludger control. In one shift, Texas’ Freddy Salinas gets control, maintains it throughout the shift and then pushes the advantage to a Longhorn lead they maintained until the snitch returned. It is fitting that so much of the Lone Star beater game comes from the Texas A&M system, because the community squad risks following the same season path as Aggies teams have before them. Each of the last two seasons, Texas A&M has ridden a dominant regular season to being the heavy favorites entering World Cup, only to fall to Texas sides with better beater games. Some of the Aggies games last World Cup were particularly egregious, with bludger control percentages in the 20 percent range. It is also fitting that so much of the Lone Star quaffle game comes from Texas’ World Cup VI squad, because, as dominant as they were, it did not all click, and they did not become nearly unbeatable until Colin Capello started playing like one of the sport’s best beaters. That is the kind of breakout performance it is going to take for Lone Star to become true, firm favorites. Until then, it is hard to say that Lone Star and Texas are anything other than co-favorites. This may seem like a major condemnation, but it is not. I am simply picking on the slightest flaws this team has and arguing that instead of being a clear No. 1, maybe they are a co-No. 1. But, again, it is only the first round, and these two teams are still only taking jabs at each other. The true battles will be fought in the months to come. The Northeast Classic was always going to be a telling tournament in the region. With 15 teams in attendance, including every major regional contender besides The Warriors, it was not just a Northeast Regional preview. It was basically the Northeast Regional played three weeks early. And while the tournament failed to clear up the regional picture–if anything, it made it murkier, with NYU making the case to be included with No. 6 Tufts and No. 7 Massacre in the region’s top tier–it did a very good job of defining the region for the season to come. Going forward, the Northeast will be defined by the two-male beater set. As Sunday came to a close, it was often the go-to set on both sides of the field. In the loser’s bracket semifinal, Tufts blitzed Boston University with the set, scored six goals in the first three minutes of the game and coasted to a win. Then, in the loser’s bracket final, both Tufts and Massacre stuck with the set for the first 10 minutes of the game, even though each team was only going two players deep at male beater. Then, in the finals, it was more of the same, as NYU matched Massacre’s two-male beater set until they subbed out of it deep into the game. These teams are, of course, not the first ones to rely heavily on the two-male beater set. When Brittany Ripperger was out injured last spring, Baylor University used it almost exclusively in their run to the Diamond Cup finals. And, of course, the Lost Boys last season used the strength of their male beaters to counteract their lack of elite physicality in the quaffle game, a strategy that worked well for them all season until they were upset in World Cup bracket play by LSU playing–you guessed it–a two-male beater set. But this is a whole different ball game. Baylor and Lost Boys were each the exception in their cases, but, in the Northeast, two-male beater sets are becoming the rule, with all three of the lead regional contenders in the Northeast running them out early and often. To compete in the Northeast, you have to either be able to match it or get around it. This could spell trouble for multiple Tier Two teams in the region, including Boston University, who as I mentioned looked over-matched against the set, and RIT, who has no depth at male beater behind Kyle Savarese. The Warriors were down some male beaters when Massacre pummeled them, 170*-10, at Oktoberfest, but the fact that they are actively converting both Taylor Crawford and Billy Greco to the position speaks to their lack of confidence. So how do you rank the three teams currently employing the strategy? Massacre has by far the scariest beater combination–Max Havlin and Mike Sanders are the best male beater pair east of California. However, they have no confidence in their female chasers offensively, leading to possessions where Jayke Archibald only has two options: a mid-range shot or a pass to the only male chaser on the pitch. They also lack even the fragments of a seeking game, falling to 0-5 on the season in SWIM situations. Tufts has the least experienced beating pair–Sanders alone has been playing beater for three more years than Andrew Miller and Nick Ryder combined. However, their quaffle game is the most dynamic in the two-male beater set, with Hannah DeBaets and Emily Hickmott making major contributions on both sides of the ball. NYU is the middle ground between the two, with a better female chaser game than Massacre and a male beater game that is more experienced and honed than Tufts. Kyle Jeon’s hands are also a wild card in these matchups, with his ability to catch bludgers making him extremely dangerous in bludger battles. And, when it comes down to it, NYU’s Austin Sweeney was the best seeker on the weekend, a necessity in such close matches. In just over two weeks, the region will reconvene to crown a regional champion. And, after watching the final few games on Sunday, I would be shocked if the finals do not include two-male beater sets on both sides.